Tasneem Essader studies at a residence hall at the University of North Carolina in Chapel Hill, N.C. The Adawia Alousi Scholars program, a scholarship for Muslim women pursuing careers in science, technology, engineering and math with money from Alousi’s family trust, is believed to be the first of its kind. The inaugural class of 11 recipients includes refugees, daughters of poor parents and the first in their families to go to college. DETROIT – When it came to pursuing a scientific career, Tasneem Essader encountered forces pulling her in and pushing her away: She drew inspiration from her mother’s work in chemistry, but initial discouragement from her engineer father, who thought she should do something else. She was inspired by women engineers she met, but found few girls around her in advanced high school science classes. Essader, who feels strongly connected to her Muslim faith, also struggled to find the right fit among an array of identity-based scholarships as she looked to help ease the financial burden of college. Then, an uncle informed her about the Adawia Alousi Scholars program, and the obstacles started to fall away. She found that fit, and a kinship with the scholarship program’s namesake. 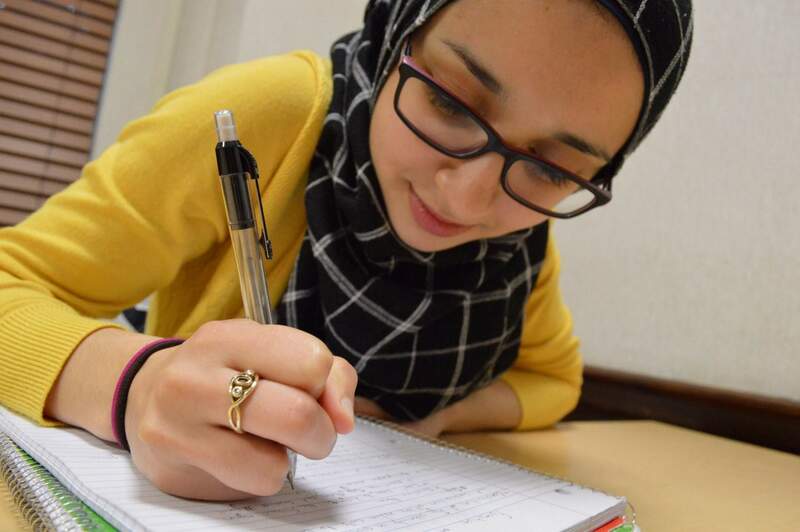 The scholarship, established at the Dearborn, Michigan-based Center for Arab American Philanthropy with money from Alousi’s family trust, is believed to be the first of its kind for Muslim-American women studying science, technology, engineering and mathematics. Essader is in the inaugural class of 11 recipients of the scholarship, named after a scientist who helped develop a pioneering drug treatment for congestive heart failure in the 1980s. Alousi, who died in 2010, was an Iraq-born Muslim who had to fight to earn recognition in a male-dominated field. She wanted money from her trust to go toward charity. “We reflected upon who my aunt was, what she would want. She was most passionate about her science and Islam – the scholarship reflects those passions,” said nephew Amin Alousi, an associate professor of medicine at the University of Texas’ MD Anderson Cancer Center. Essader, a freshman at the University of North Carolina, wants to “carry forward Dr. Alousi’s spirit by breaking the stereotypes surrounding people who look like me.” Essader says her father has grown more encouraging as he sees her passion for her intended career in biomedical engineering. Alousi hopes the recipients’ achievements help dispel misconceptions. “The bigger narrative of how often people in the West or in the United States wrongly assume Muslim women are uneducated, not successful, or not outspoken – I think that’s the bigger story that we hope to overcome with this scholarship and the young women it supports,” he said. Karoub is a member of AP’s Race and Ethnicity Team, and frequently writes about religion. Follow him on Twitter at https://twitter.com/jeffkaroub and find more of his work at https://apnews.com/search/jeff%20karoub . Sign up for the AP’s weekly newsletter showcasing our best reporting from the Midwest and Texas: http://apne.ws/2u1RMfv .